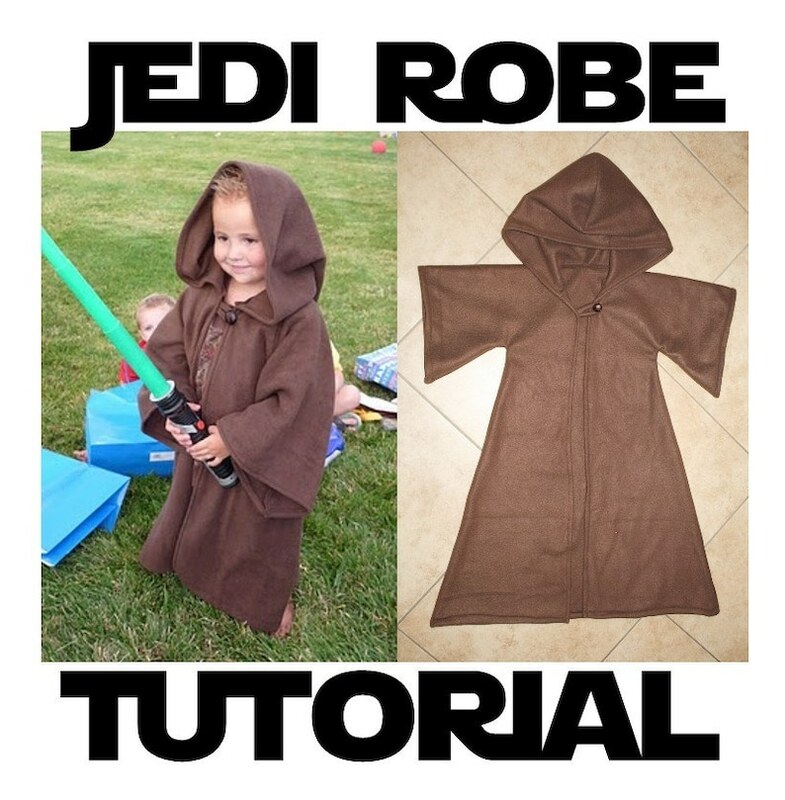 PDF Pattern/Tutorial for Awesome Jedi Robe for instant download. Something every little Padawan learner or Star Wars fan should have. Tutorial instructions are made to fit children but can be adapted to fit adults as well. -FREE STAR WARS tag to use if you are giving as a gift. Great for Halloween, birthdays and Christmas! Your child, grandchild, nephew or friend will love taking on the role as Jedi Master and practicing his or hers Lightsaber moves. Pattern requires a basic knowledge of sewing. Most sewing is straight lines with a few curves. Not recommended for a "first" project, but could be done after practicing a pillow case or 2. This is for personal use only. Distributing this pattern in anyway is not allowed. No mass production, or copying. Pattern and instructions not intended to make and sell. If you are interested in purchasing a completed robe please see my shop for that listing. Great pattern! Fairly easy to read and my little guy will love to wear it to movie in December. Didn’t receive item after being told I would. But got a refund immediately! The Jedi robes were a hit with my grandsons this Christmas! Trying to make them as a surprise long distance was difficult to do. Three different times, I messaged the author of the tutorial with a question about the pattern's construction. I did not hear back from her so was left to utilize trial and error. That part was frustrating. Bottom line is little boys were thrilled!